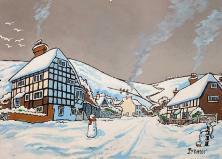 Local artist Nick Bremer painted our village signs that currently hang on all three road entrances to our downland hamlet depicting summer, evening sunset and winter. Fulking owes its existence to the spring at the end of the village street which, it is reported, has never run dry! Esther Meynell in her 1947 book SUSSEX gushes “Fulking is notable with water. At the foot of the steep little village street, which slopes sharply down to a hollow curve, there is one of the most glorious springs in Sussex, leaping out of the chalk with a shout.” In the days when there were hordes of sheep upon the downs the spring used to be damned in the hollow of the lane and a sheep wash made in the bend. 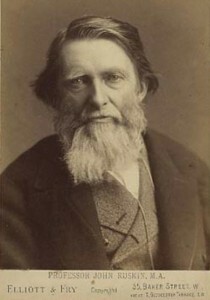 John Ruskin, who, in addition to being an author, art and social critic, was also a geologist and he took pity on the men and women who carried the water up the steep hill by hand and in about 1886 arranged for the building of the ram, by the Shepherd and Dog Public House, which pumped water up the hill in pipes to the villagers, either to their homes direct or to several pumps, and the main features of this unusual system, including the ram house, fountain head and lever pumps, remain largely intact today. 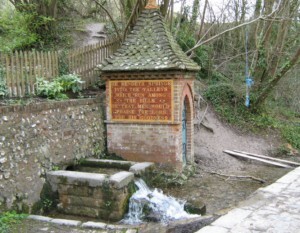 The system supplied the village with piped water until mains water was brought to Fulking in 1951. Many of the houses in Fulking predate the 20th Century and several are of 17th Century origin including a number of attractive thatched roofs or timber framed buildings. 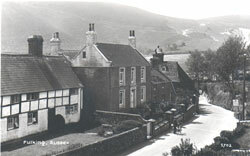 In 1984 in recognition of the village’s architectural interest the Department of the Environment selected ‘the Street,’ which is the main road through Fulking, as a conservation area. 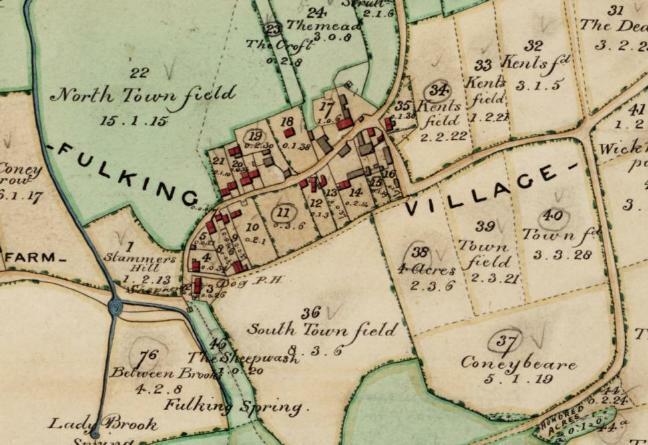 However fewer than one third of the people of Fulking live in The Street and many other houses and farm buildings are also within the boundaries of Fulking including communities in Stammers Hill and along the quixotically named Clappers Lane, [once a smugglers route] which runs from The Street all the way up to the Henfield Road. We were one of the last villages to partake in ‘Good Friday Skipping’ where the boys and men used to play marbles while the women skipped with clothes lines and neither joined in the others’ game.